One of my favourite shots in the Grange Book is of Kim West trying to give a thank you speech at the 50th anniversary dinner of the Mirrabooka Beefsteak and Burgundy club. 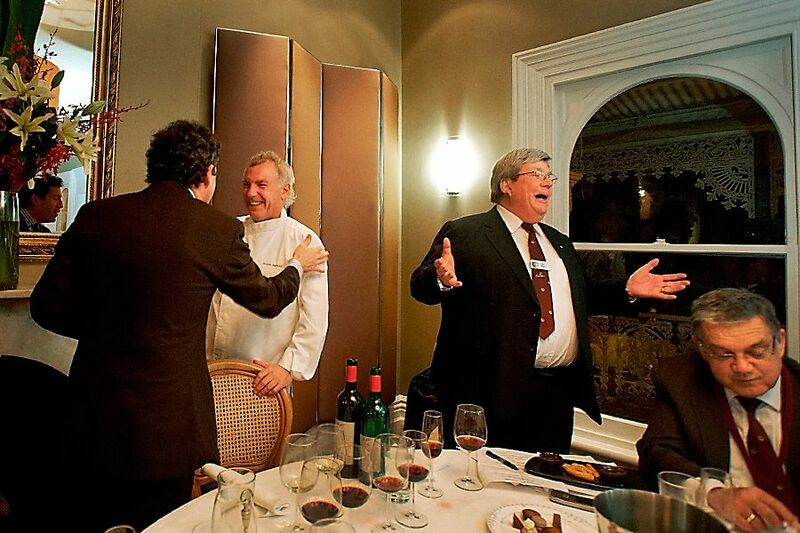 It was at Jacques Reymond’s restaurant in Melbourne. Westy was doing his best to thank everyone. Right in the middle of the speech Jacques comes in to say hello to Peter Gago and the chap next to Westy is checking figures or something. Hopefully someone in the room was listening. For me the photograph is a great  observation of club dinners. Club dinners anywhere in the world, someone is trying to speak while all this other stuff going on around them. It was special night, great food and stunning wines. Kim West ‘Harry Heidelberg’ on air at radio 96.5 Melbourne. I’ve met Westy a few times since, He’s an interesting man, bit larger than life at times. What’s your current role ? I joined the Police Force in 1967 and retired nearly four years ago. That’s a 46 year career and I have seen some unbelievably terrible things in that time. Wine and food has been my escape. 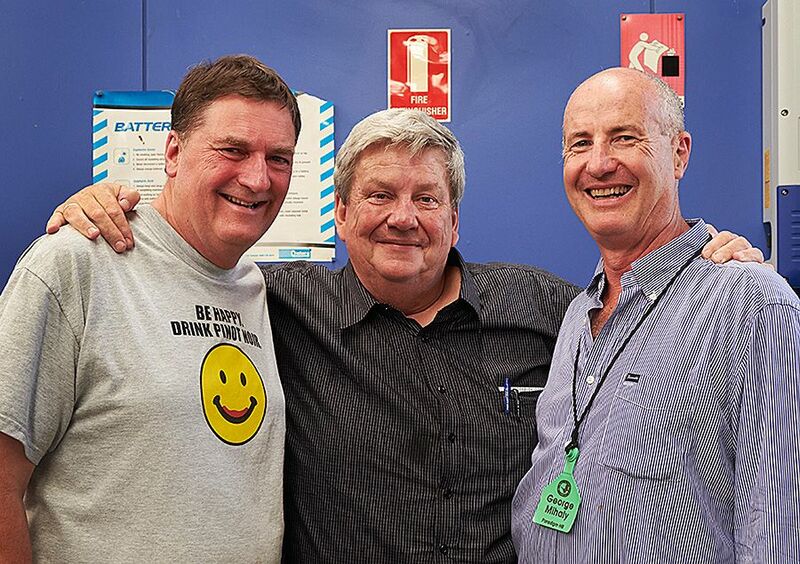 For the past 30 years I have hosted a number of wine focused programs on Melbourne radio. 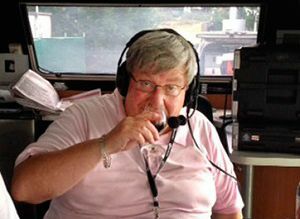 I have compered a two hour wine program on 96.5 FM in Melbourne every Sunday for 30 years and for several years did wine spots on 3AW. 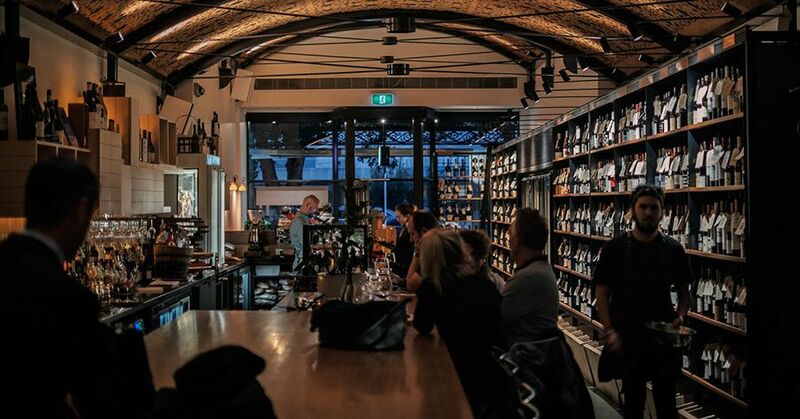 I write restaurant reviews for the Melbourne Age ‘Good Food Guide’ and am involved in judging the Gourmet Traveller ‘Australian Wine List of the Year’ Awards. How did you get an interest in wine ? A good work mate of mine Brendan Bannan gave me a glass of red wine, when I was about 19 years old. I’m sure he thought I would hate it. I really enjoyed it, fell in love with the taste and everything about it immediately. I now had a hobby. I set out to try every wine I could afford, and to attend as many lectures and tastings as I could. I also read on the subject of wine with a great passion. One day someone at a tasting suggested I find a good local wine retailer and get to know them. I walked into Templestowe Cellars, and met Spiro Kavadeas and told him I wanted to learn about wine. He sat me down and we sampled several bottles of wine and discussed them at length. Spiro opened my eyes and he quickly learnt my tastes to the extent that when I visited the shop he would recommend a new wine he thought I would like and he was never wrong. He had tastings every Saturday morning back in the days when liquor shops closed at 1pm and I tried to get to most. Often there were a group of us there after 1pm and we started bringing bottles along in brown paper bags. We’d do a blind tasting together. I learnt a lot those Saturdays. Spiro was a wonderful man , we became the best of friends. He passed away 20 years ago and my family and I miss him terribly. What was your early life like ? I was born in Sydney, but my family moved back to Melbourne when I was only six years old. My parents were in retail – they owned shoe shops. After school, I got a job in the accountancy section at General Motors Acceptance Corporation and studied accountancy and commercial law at Swinburne College. I looked around and thought – if this is what the rest of my life is going to be, I have to get out of here ! I always had an interest in photography, so I was applied and was accepted into the Victoria Police Force  with the intention of becoming a Police photographer. My initial station was general uniform duties at Fitzroy, and I discovered I had a natural talent for catching crooks, a pastime I fell in love with, and immediately forgot about photography. I looked at old time coppers who had no friends outside the Police Force and no interests outside of work and when they retired they had nothing. I decided that was not going to happen to me and I needed a hobby. 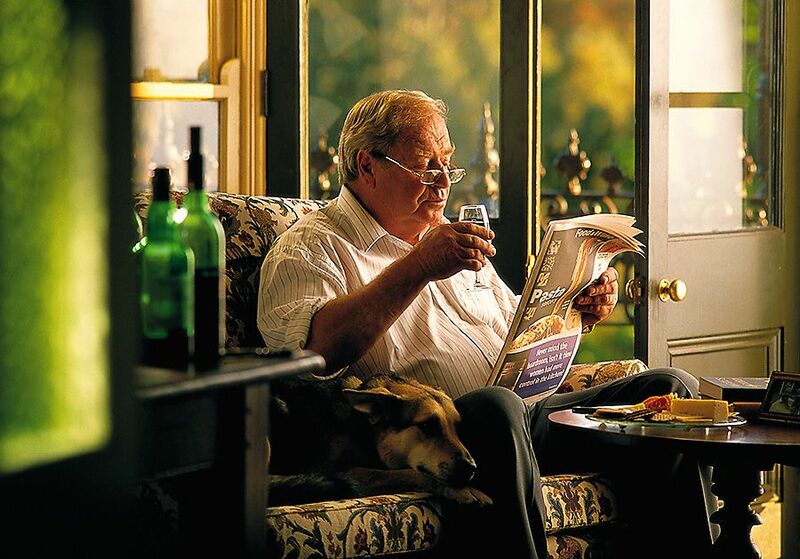 The hobby developed into a life long interest in wine. The first time I took my wife Ann out, I thought this is a very special occasion so we went to a restaurant. I was 19 and thought it was sophisticated to drink ‘Orlando Starwine’, but it had to be something really special so I bought a bottle of ‘Orlando Pink Starwine’. When I dropped her off, Ann’s father, Bob, asked what sort of a night she’d had. ‘It was very special, the young man even bought bubbly pink wine,’ she said. Her Dad then said – “forget him he’s gotta be a poofter”. You might not talk like that now, but it was 1969. Passions other than wine ? I have made so many wonderful friends all around Australia and around the world through wine, far too many to mention here. Regular lunches with a group of friends at Chris Moraitis’s ‘Tender Trap’ Restaurant in East Doncaster. These have become very special to me in recent years. I have been on a number of charity boards, one in particular is the Life Education Centre Victoria Drug Prevention Program in Schools. People say the drug problem is not a criminal problem, but as an ex-copper I can tell you it is, however no law enforcement agency will defeat the drug problem on its own. Law enforcement needs to work with the community and hand in hand with preventative education for children and adequate availability of effective rehabilitation programs and institutions. That’s why I am involved with this program and educating kids. I feel very strongly that a preventive drug program can hopefully stop the kids getting into it in the first place. People talk about losing ‘the war’ against drugs which I laugh at. This country has never fought a war against drugs, just lip service paid to it. Favourite wine style and bars ? That’s simple – all styles but it has to be good wine. The old saying ‘life is too short to drink bad wine’ is very true. 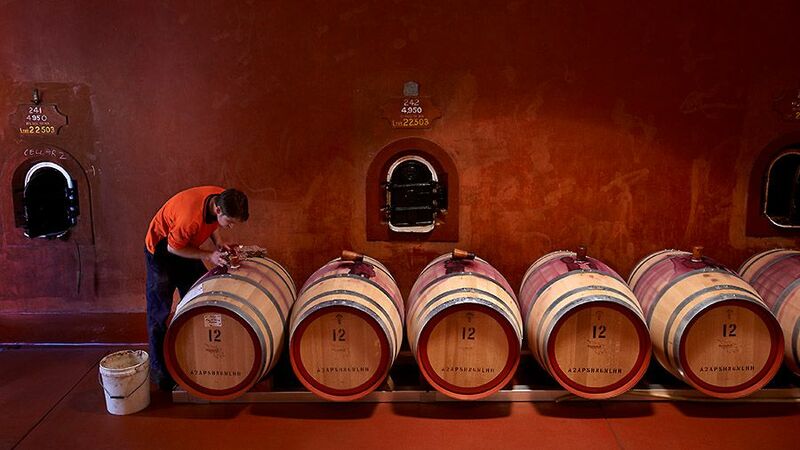 We are spoiled in Australia for the range, style, quality and cost of great Australian wines. Harry and Frankie’s in Bay Street, Port Melbourne has to be the best bar in Melbourne but is so far from where I live I don’t get there often enough. 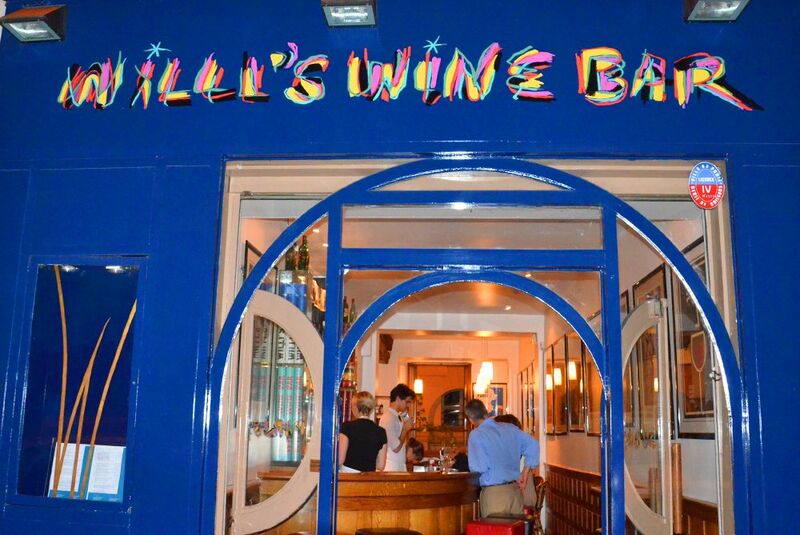 Whenever in Paris I have to make a visit to Willie’s wine bar. I feel very much at home there. Le Doyen in Paris and Auberge de Lil in Alsace, Bouley in New York, Chianti Classico in Adelaide and Ferment Asia in Tanunda in the Barossa Valley are restaurants I always visit when travelling in these places. Thousands of them and I can’t possibly be fair to some of the great wine makers and their great wines in a short paragraph but there are a few really special in my life. 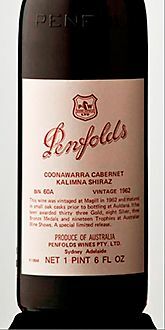 Doug Bowen (a great friend and owner of Bowen Estate Wines in Coonawarra) and I used to buy up Penfolds 1966 Bin 620 Coonawarra Cabernet Shiraz, on the secondary market, when Colin Gaetjens was in his early auctioning days in Adelaide. That’s got to be one of my favourites. If you could find it now it’d be over $1,000 a bottle. Others are the original Wynns ‘John Riddoch’ made in 1982 by John Wade. Orlando Jacaranda Ridge Coonawarra Cabernet also made in 1982 and the greatest wine that Doug Bowen ever made the 1979 Bowen Estate Cabernet Sauvignon. It was made the same year my daughter was born, and apart from being an absolute favourite, it has a very special place in my heart. I did part of the 1979 vintage at Bowens so it is special for a number of reasons. I have drunk some amazing DRC’s. I love great sauterne; sauterne and foie gras is a match made in heaven. I love the great fortified wines of Australia and Portugal. So many wine stories but one has to be a lunch at Herman Schneider’s great restaurant Two Faces, 30 years ago where we had every bottle of the Bordeaux first growths from the 1945 vintage. A great vertical tasting of multiple vintages of Hill of Grace I attended with Stephen and Pru Henschke one day at ‘Vue de Monde’ restaurant in Melbourne. Tasting vintages of Grange with Penfolds wine maker and great friend Peter Gago at the underground cellars at Penfolds Magill is high on the list. Magill ‘Cellar two’ : Photo © Milton Wordley. I have to mention two half bottles of 1948 (my birth year) Morris Muscat given to me by David Morris. A great friend and a wonderful gesture. Many but three are very important to me. The first is how I value my friendship with Peter Gago, a brilliant winemaker and a great custodian of the Grange legend and a very, very important man in the promotion of the great wines of Australia around the world. Secondly was a night at my home. I had been to an Allandale wine tasting with an old friend Bill Sneddon, winemaker and general manager of Allandale Hunter Valley wines. 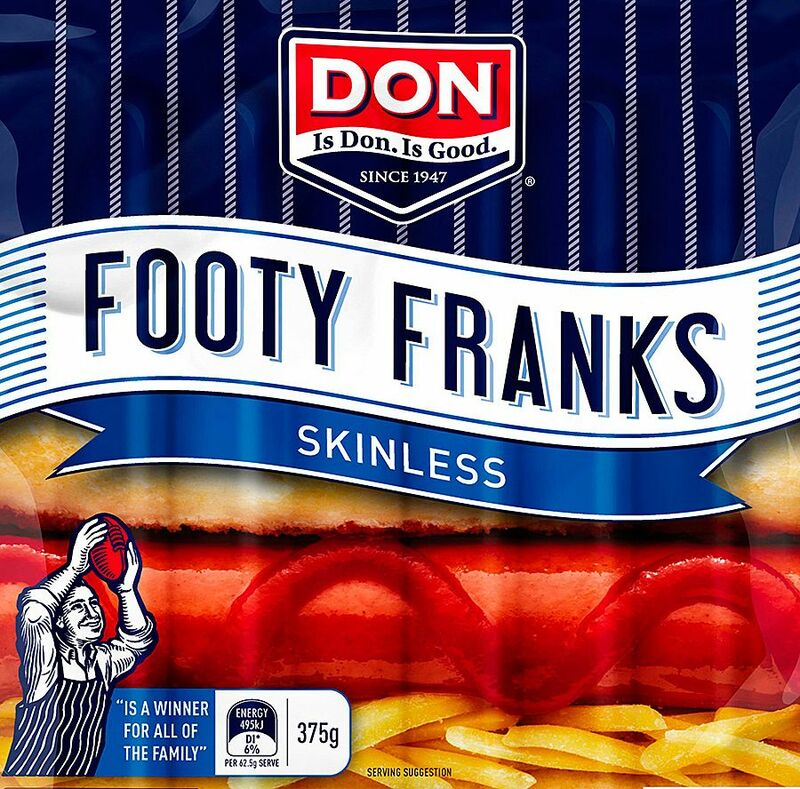 It was around 9.30, we were hungry, and it was the night before the weekly food shopping and the only thing I could find in the house was a packet of ‘Footy Franks’. My wife made a marvelous hot marmalade sauce to go with them and fresh crunchy Italian bread smothered in good butter. We got around to talking about wine and our birth years. Billy mentioned he had never drunk a bottle of wine from his birth year, 1959. After we finished what we were drinking, I grabbed another bottle from my cellar, poured a glass and went on talking. Billy took one sniff and a sip and stopped dead in his tracks, “what the f**k is that?” he said. “What with ‘Footy Franks’, crusty Italian bread and hot marmalade sauce, you’re mad, do you know how much this is worth?” he replied. It was the only 1959 Grange I had ever possessed and it owed me about $30 as I had bought it many, many years earlier. It represents what wine means to me, great experiences to be enjoyed with friends. I never see Bill where he doesn’t mention it all these years later. The best Grange I have ever enjoyed was the 1971. Jeremy Oliver shared it with me at a restaurant at the back of the MCG, many years ago. Again an act of great generosity. The 50th anniversary dinner of our Beefsteak and Burgundy Club at Jacques Reymond with great champagne, great Bordeauxs, excellent Burgundies and two vintages of Grange and Great Grandfather tawny port. Peter Gago as the guest speaker. 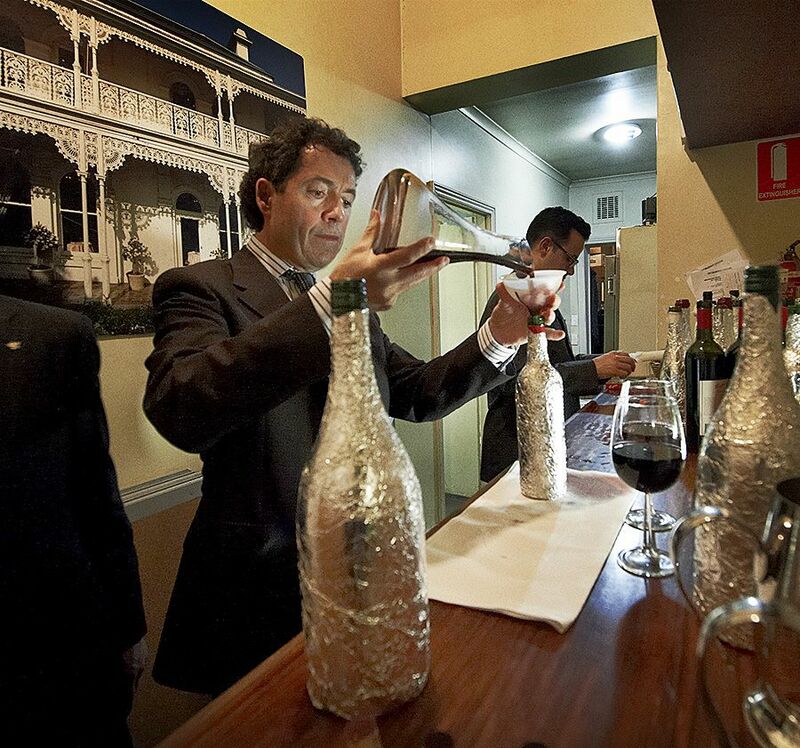 I often wonder if Australia realizes what a great man we have in Peter Gago and what he does to promote this country and its wines (not just Penfolds) around the world and I hope some day he is recognised properly for it. What would you like for your ‘last supper’ ? 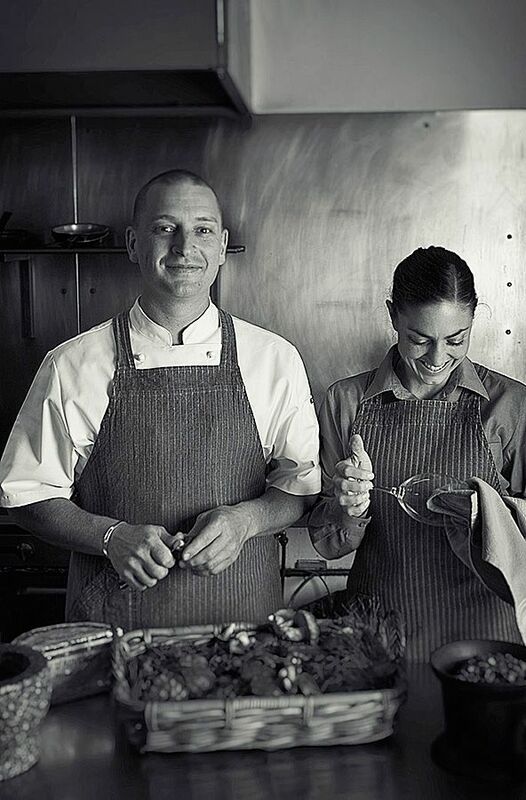 It would be at Pipers Restaurant in Penola / Coonawarra, operated by Doug Bowen’s son the chef Simon and his wife Erika. Simon Bowen and his wife Erika at Pipers of Penola. As well as what he would cook – which I know would be first class – I’d like some coral trout and maybe garfish. For something to drink, any early John Vickery White label Leo Burings Riesling. Penfolds 1966 Bin 620, obviously my daughter’s birth year wine the 1979 Bowen Estate Cabernet and the Vintage Port Doug Bowen made that same year. Why do you do what you do ? The radio programs, the restaurant reviews and the people. Just about everyone I meet in the wine business are genuinely good people. Who’s influenced you and who do you admire ? I was his cellar hand in 1979 but he called me his assistant wine maker. And Peter Lehman for the way he stood up for the Barossa Growers in 1979. Peter’s grape contract with the growers was his handshake. When the company he was winemaker for, Saltram, decided not to buy any fruit from the growers, he stood by his handshake contract, supported the growers and started Masterson Wines, which became Peter Lehman Wines. Peter and Margaret became very close friends of both Ann and I, and Peter’s death hurt us greatly. 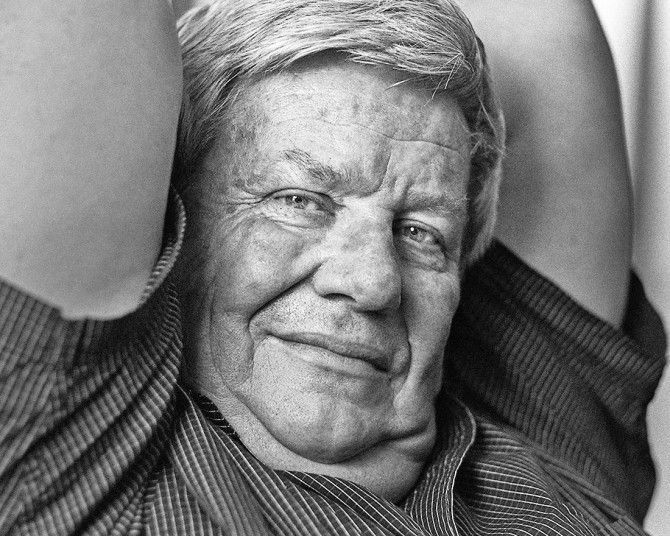 He was a wonderful man and another great ambassador for the Australian wine industry. 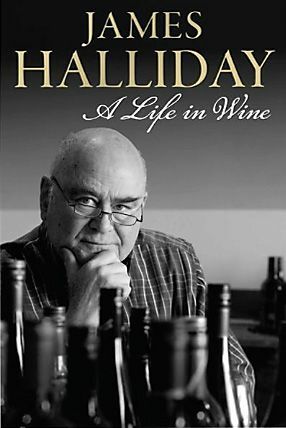 James Halliday’s book : ‘A Life in Wine’. 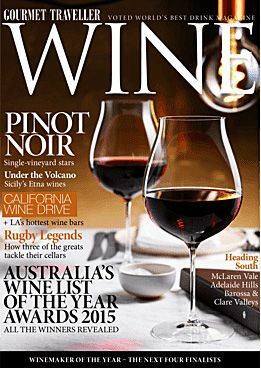 There is simply too many people to mention and not just in Australia but in the wider wine world, but Joe Grilli (Primo Estate Wines and Joseph Wines) is one, as are a number of our great wine journalists in this country. Wine journalism is a small community but they are close and have a common bond. James Halliday, Peter Forrestal, Jeni Port and many more have been great friends but again to many to mention.